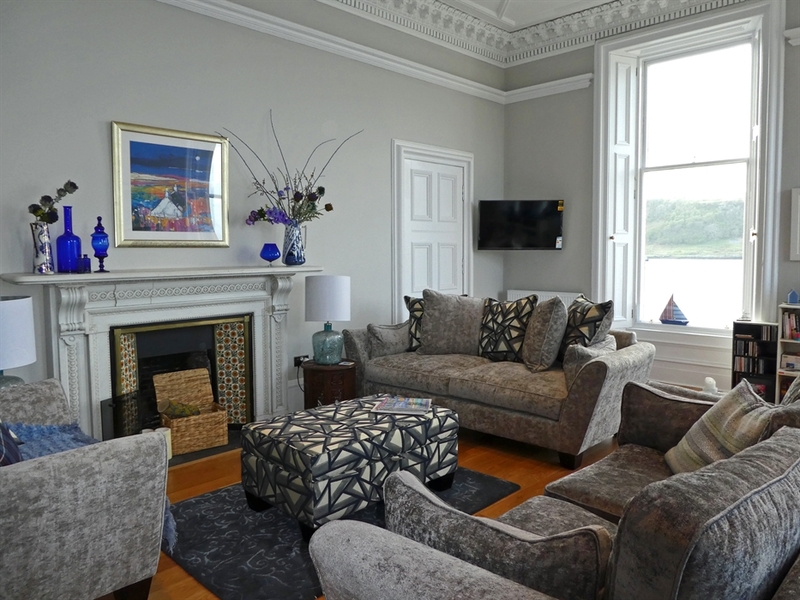 Dail Na Mara is a beautiful holiday property in a fabulous situation with the most wonderful views. 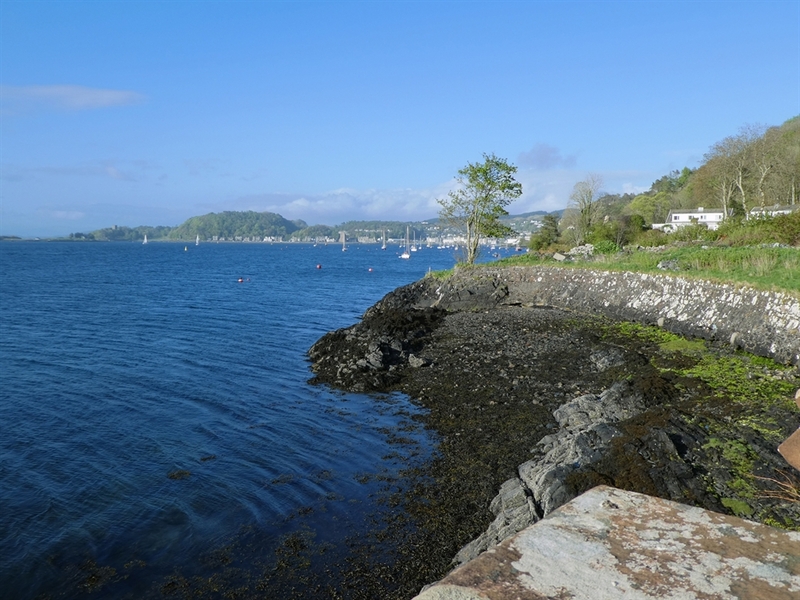 In view of it's proximity to the water, the property is considered unsuitable for children under 12. 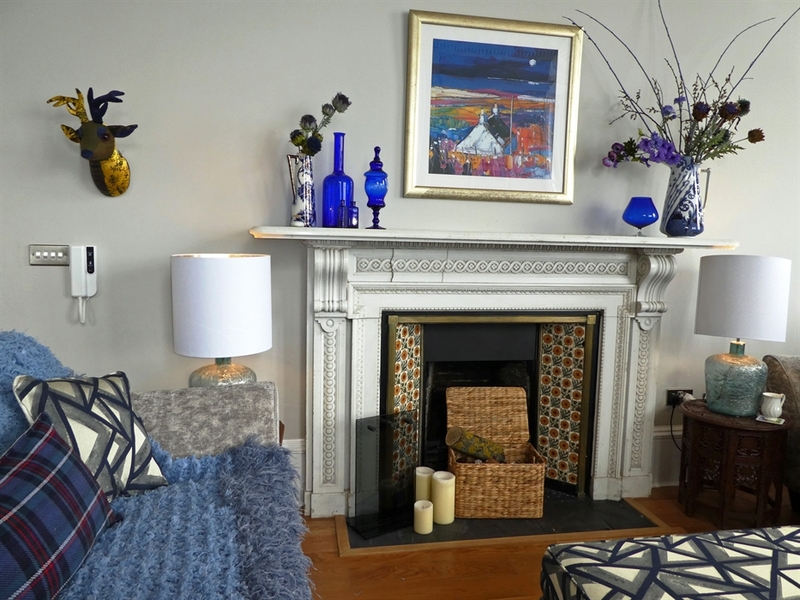 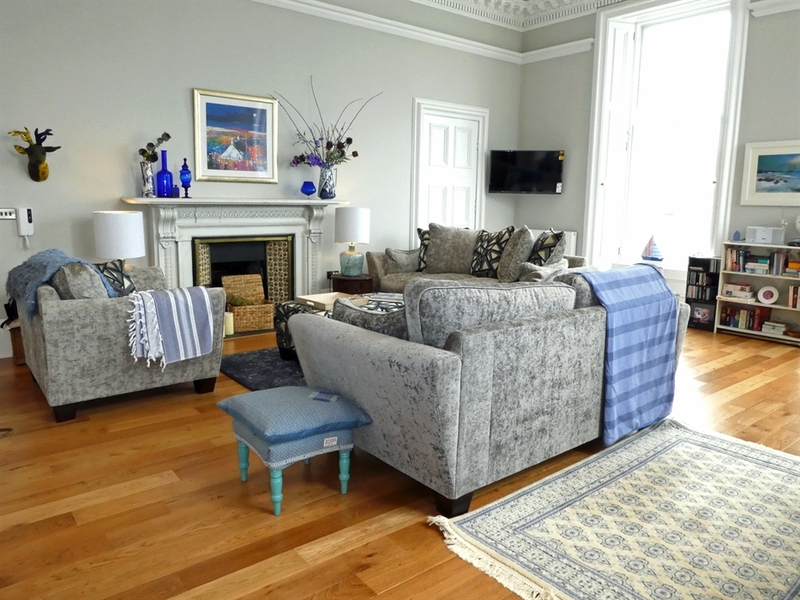 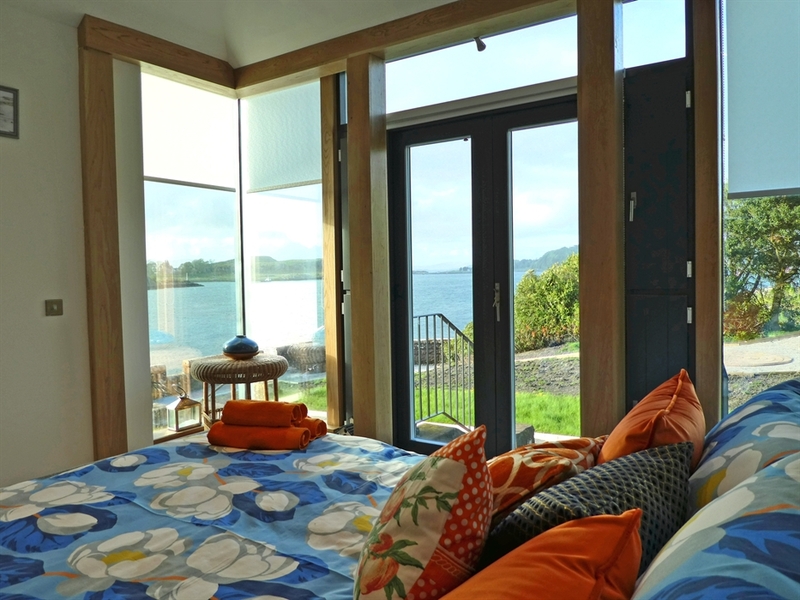 Dail Na Mara is sure to captivate anyone lucky enough to stay in this fabulous seaside retreat. 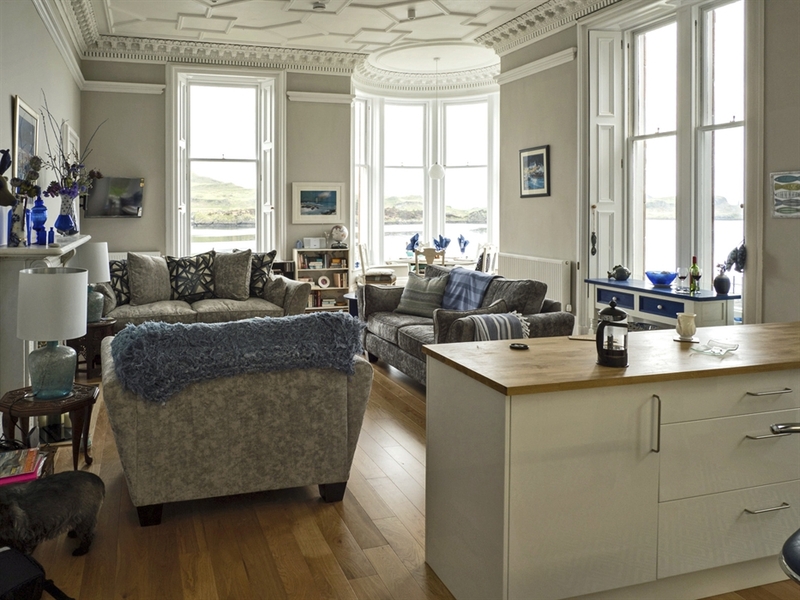 From the moment you step inside you will be drawn to the astounding sea view from the large windows and, thanks to the cleverly designed open plan living area, you will always be able to enjoy this thrilling west coast setting with passing boats and fabulous wildlife. 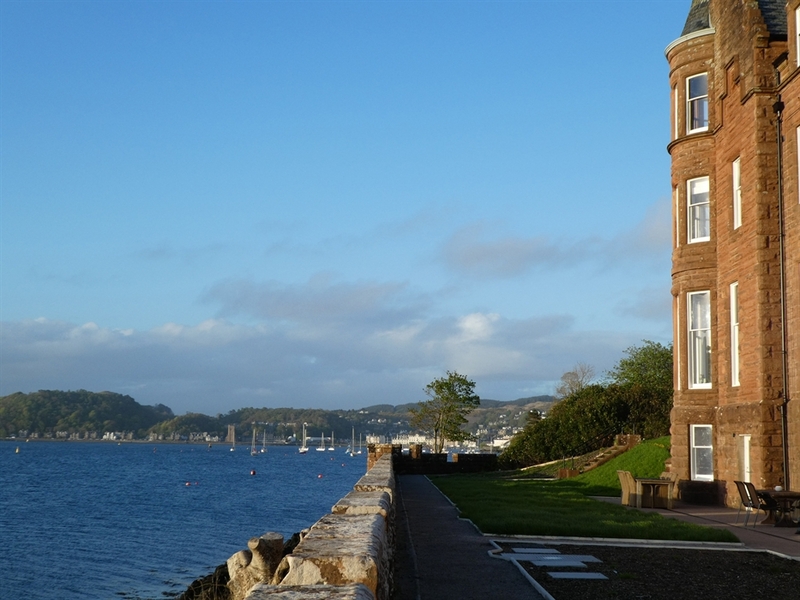 For over a century, Kilbowie House has proudly stood by Oban’s shoreline keeping watch over the ever-changing moods of the sea. 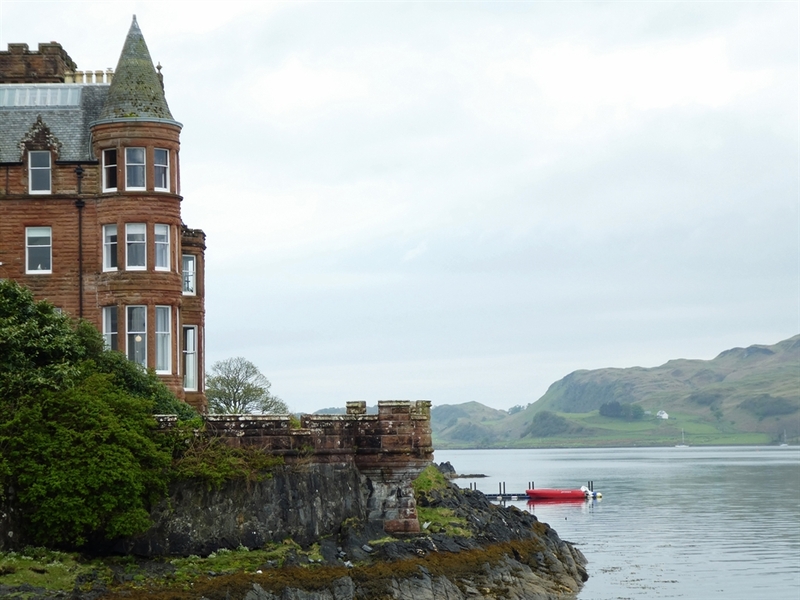 This impressive red stone Scottish Baronial mansion has been skilfully converted into stylish contemporary apartments while managing to retain many of its original period features. 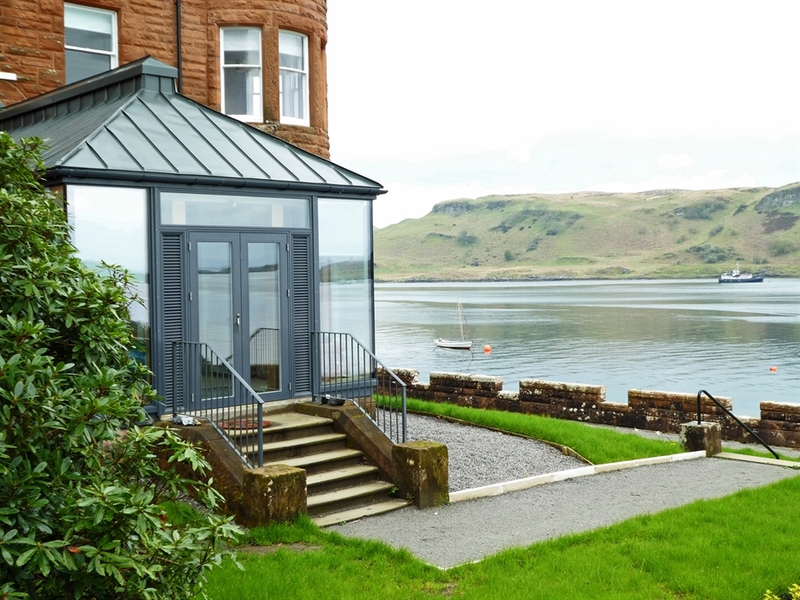 Dail Na Mara, meaning The Sea Meadow, enjoys the most enviable position on the raised ground floor looking directly over the water with breath-taking views to the island of Kerrera. 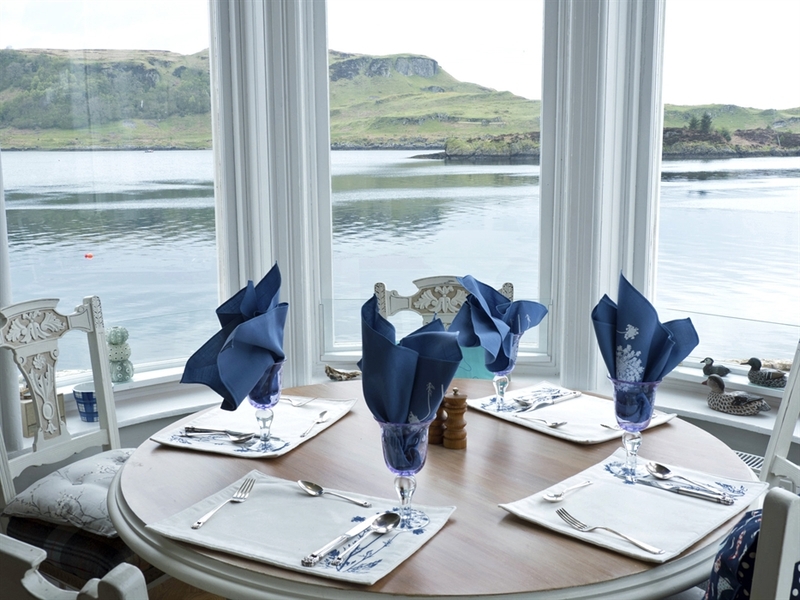 A truly romantic and peaceful setting. 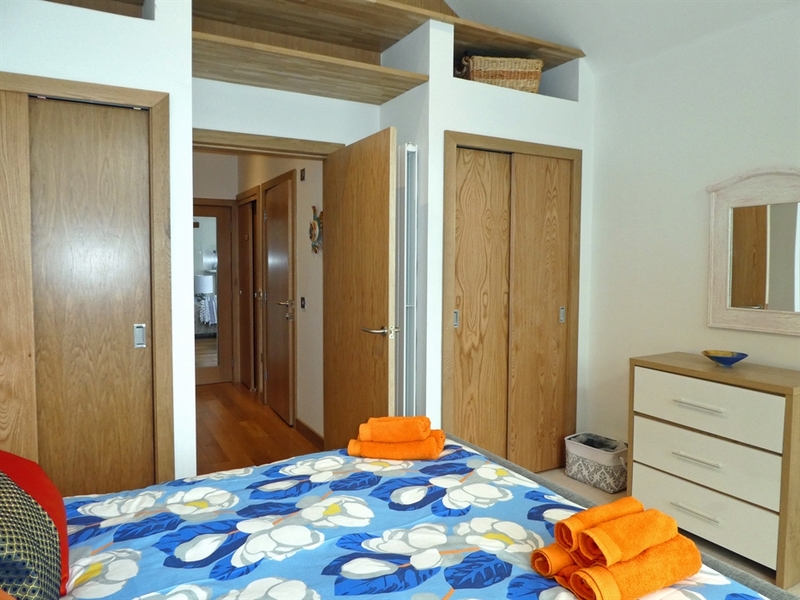 This luxury holiday home has been designed and furnished to the highest standard with every detail thoughtfully put together. 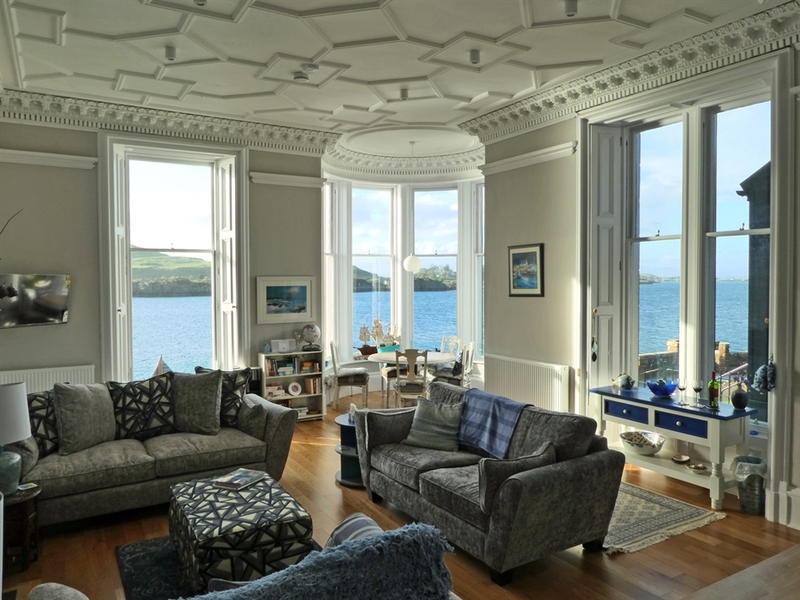 The open plan living room with its high ceiling, beautiful decorative cornicing and rich oak floor is a perfect holiday space. 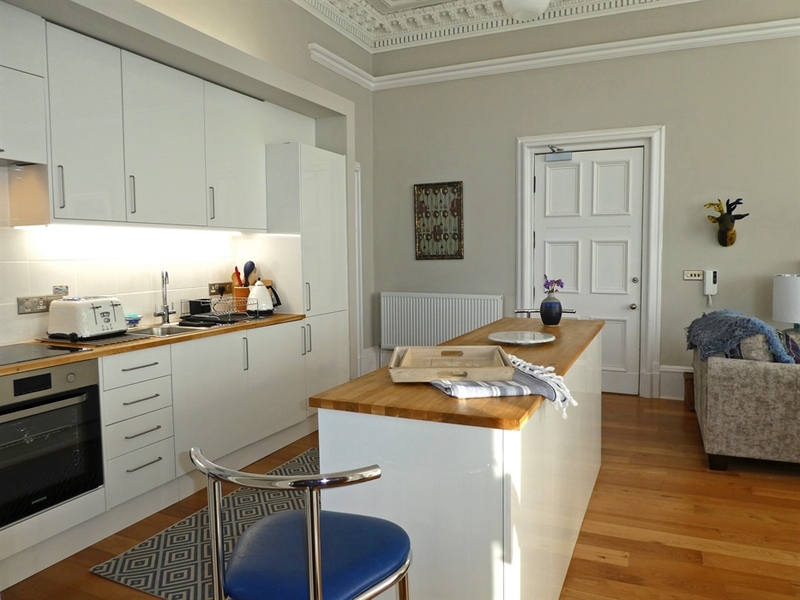 The gleaming white state-of-the art kitchen will delight cooks while the large, comfy seating around the ornate Victorian fireplace and grand mantlepiece is perfect for relaxing in. 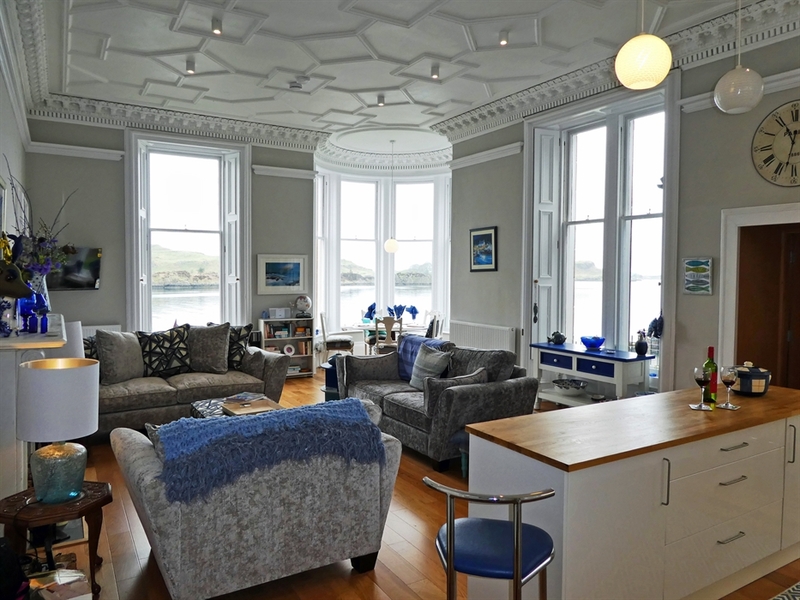 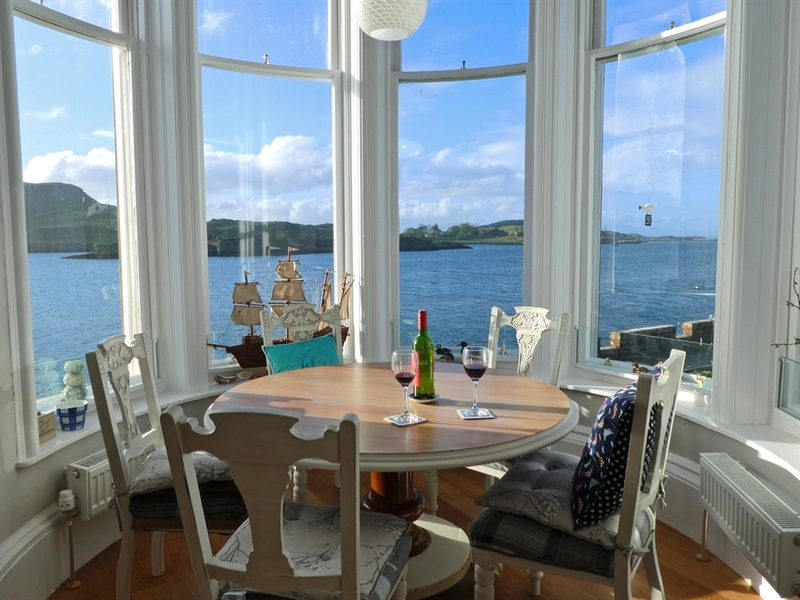 The highlight of this wonderfully sociable room must be the dining area in the corner turret giving panoramic westerly views across the Sound of Kerrera and Oban Bay - what a fabulous setting for memorable dinners while watching the sun set or for enjoying holiday board-games. 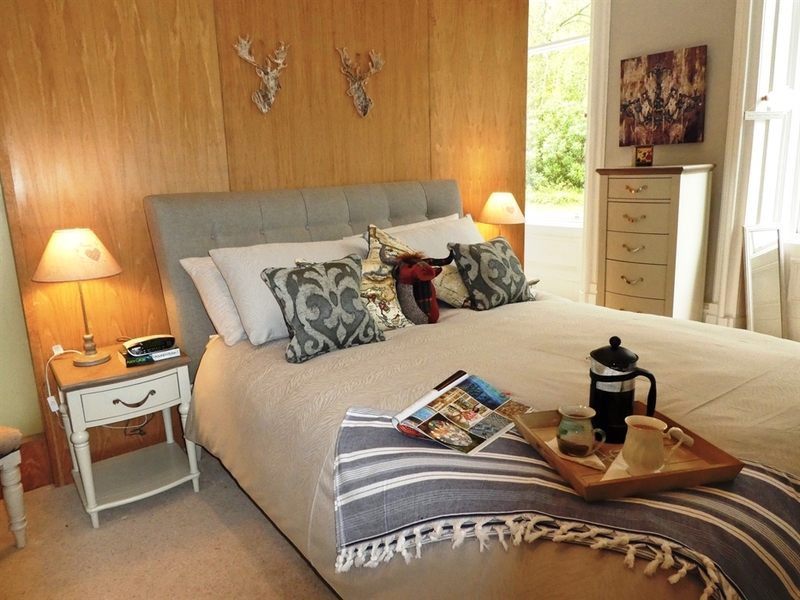 The two exceptional double bedrooms, made up with fine linen and soft pillows, are sure to give a blissful, uninterrupted night's sleep. 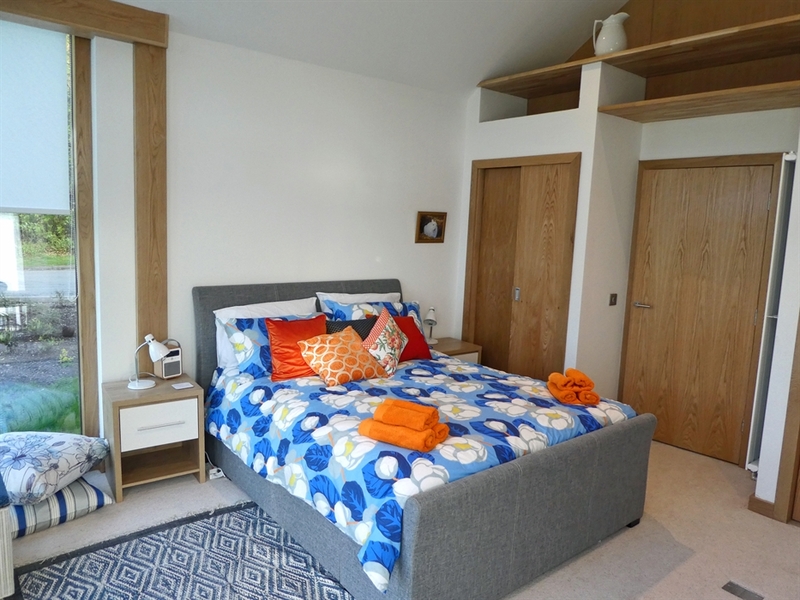 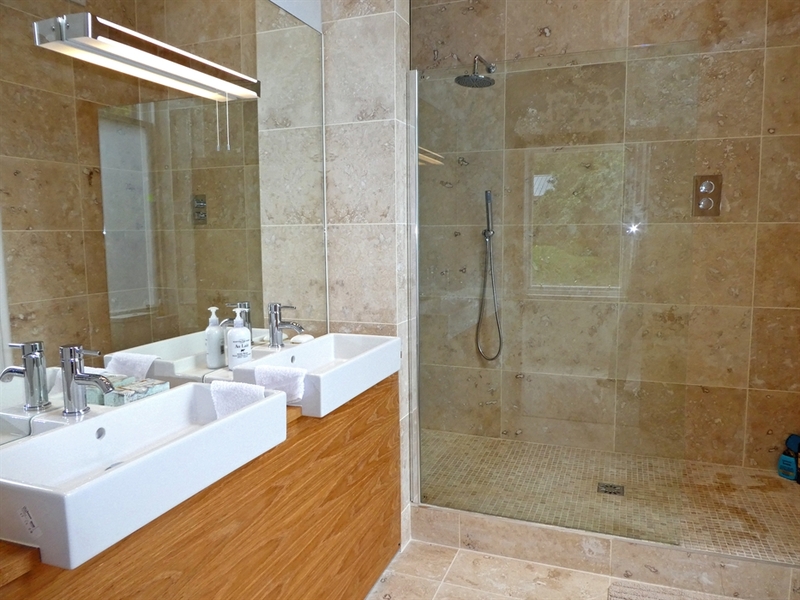 The main bedroom has an ensuite bathroom with a large walk-in shower and double basins while the second bedroom with access to shower room with wc, is built on the site of the former orangery, has the joy of floor to ceiling picture windows, so you can gaze out to sea while in bed. 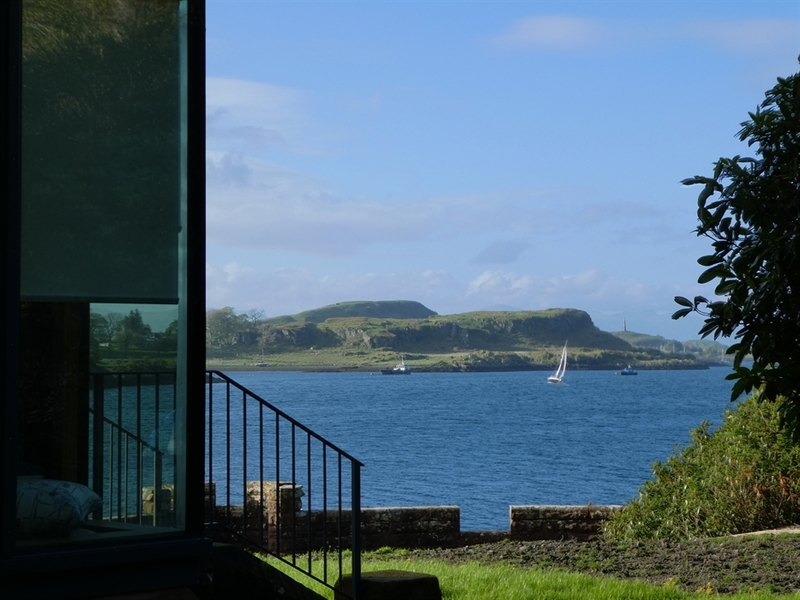 French doors lead out to a small, private terraced garden with seating allowing you to make the most of this magical waterfront location, and steps follow down to the communal garden shielded by a castellated stone sea wall running along the water’s edge. 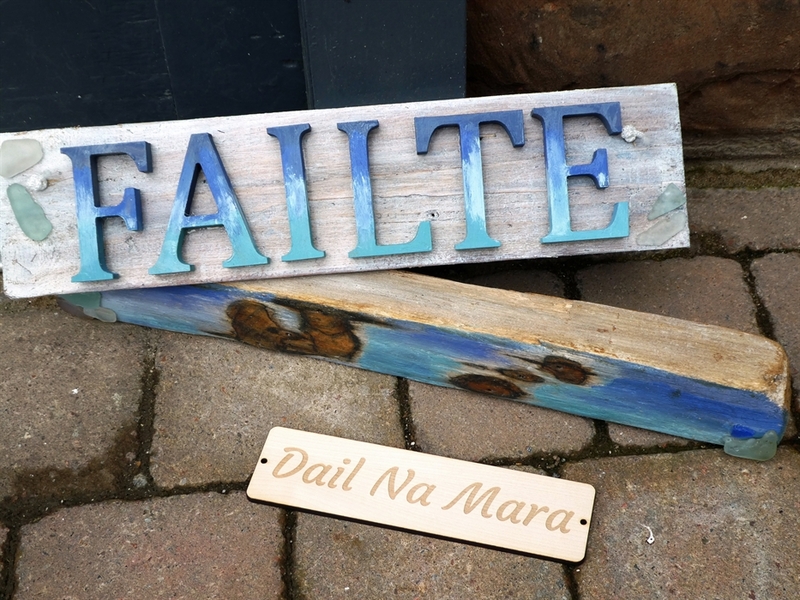 Dail Na Mara is also perfect for those who enjoy a bit of town life with excellent restaurants, shops and local attractions all within half an hour’s walking distance. 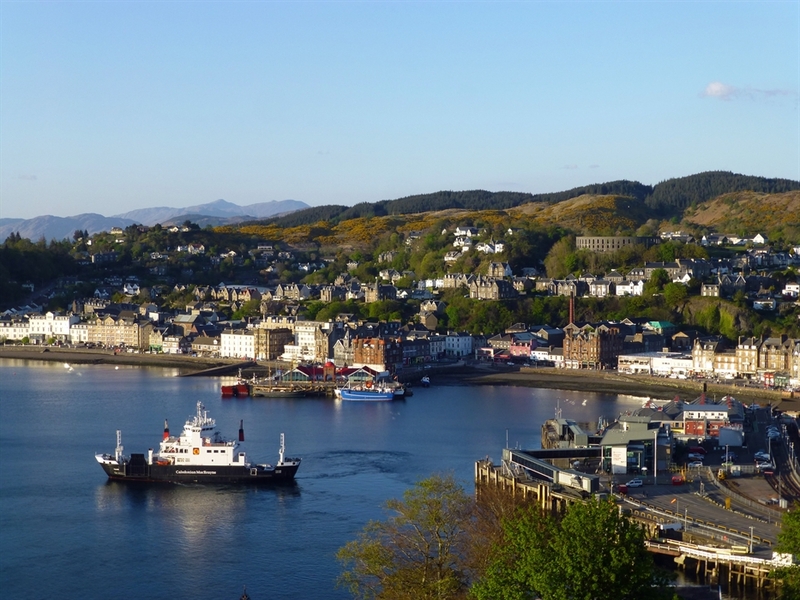 During the summer Oban comes alive with a host of festivals and ceilidhs, attracting bagpipers, highland dancers, traditional musicians and singers from all over the world. 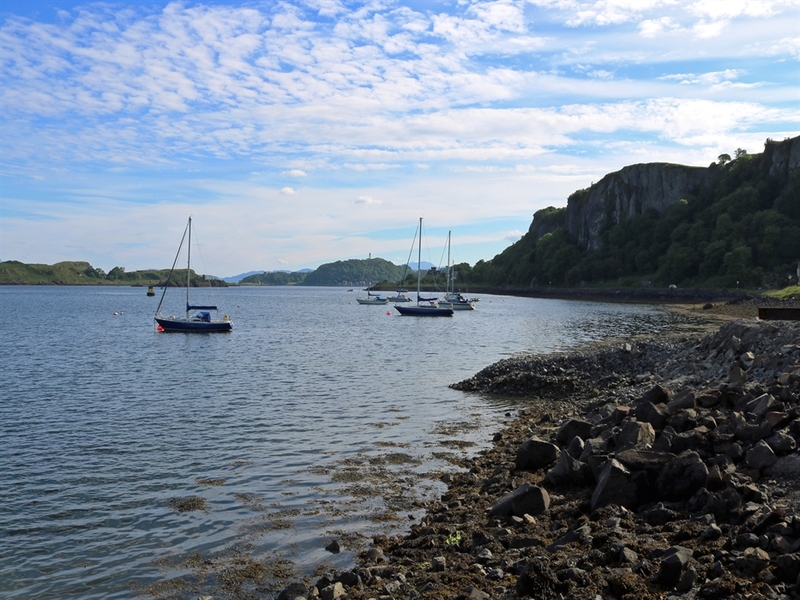 There are daily boat trips to the surrounding islands, where seals, porpoise and dolphins are often spotted. 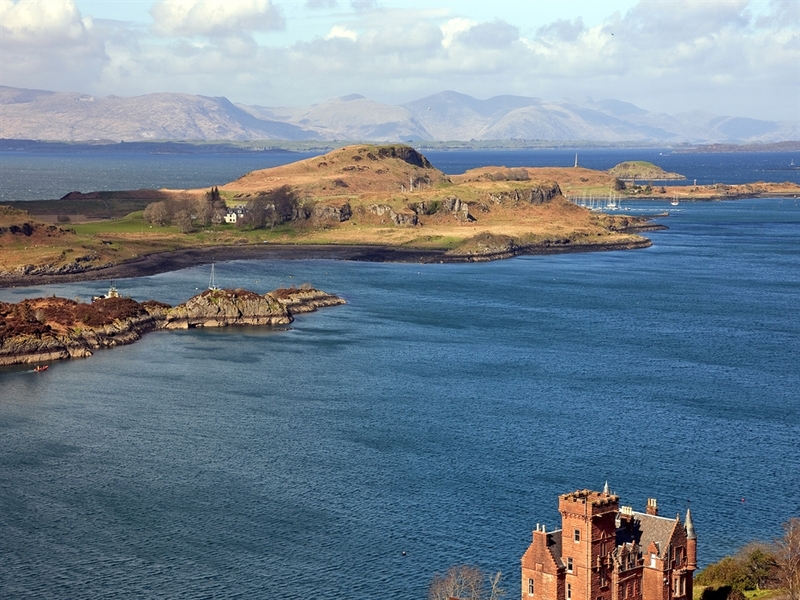 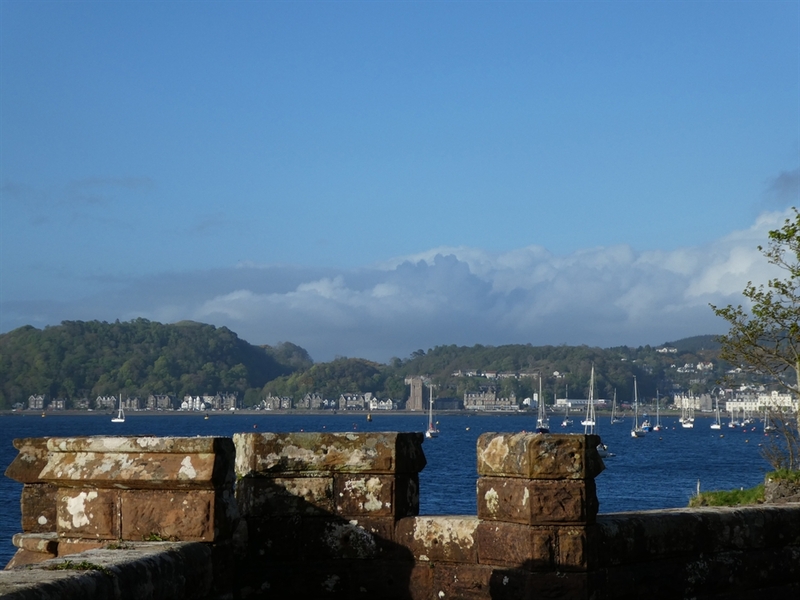 Oban is also known as the “Gateway to the Isles” with ferries to Mull and the inner herbridean islands. 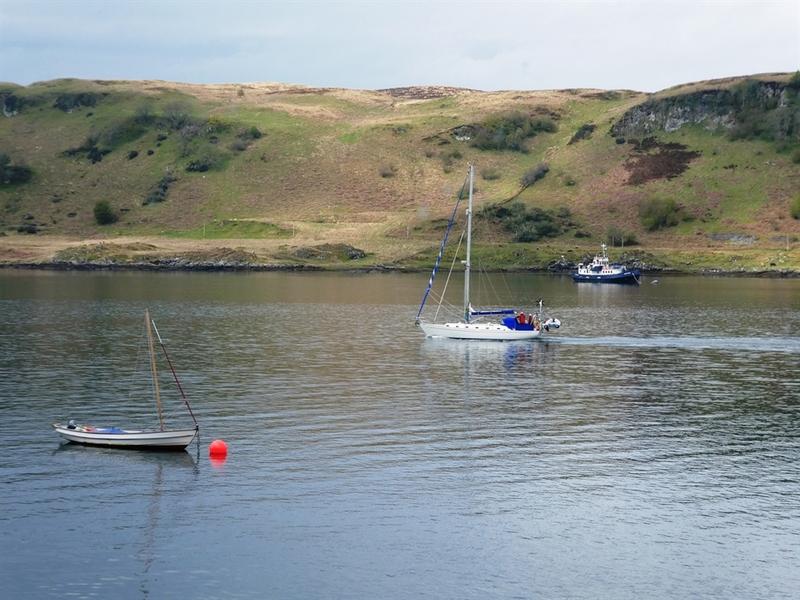 A passenger ferry from the nearby jetty will take you over to the small car-free island of Kerrera where you can walk the island circuit with its own ruined castle and summer-time tearoom.